PCH 6900 $5,000 a week for life sweepstakes. EXCLUSIVE VIP ‘7233. SFC.Steven A.Jennings-Retired US ARMY DISABLED VETERAN. PCH 6900 $5,000 a week for life sweepstakes. SFC.Steven A.Jennings-Retired Disabled Veteran. EXCLUSIVE VIP 7233.
to win this wonderful gift for my New Year. Hello Everyone, I. VIRGINIA. THOMPSON “VIP STATUS ” searching. From PCHSearch&Win. ,PCH.com.I claim and enter for to Win !. CLAIM. PLATIMUIN. TICKET $75,000.00 Cash Prize also. 1. Million SUPERPRIZE. FOR $1,000,000.00 and up to $50,000.00 BONUSES YES Giveaway No 4950,4902 yes please. Enter both or all three. Prizes to be won FEBRUARY, 24th,2017. Please. Add to the PCH WINBERS SELECTION. LIST SO I WILL BE READY COMES FEB,24th, 2017. Thank you all “MERRY CHRISTMAS ” To Us all ! Pch Frontpage Search & Win 2X Entries To Win $2,000.00 Cash To Kick Off The New year Prize No-6087 On February 24th By 11:59 PM,ET Activate ! #5 and final) PCH and “HAPPY HOLLIDAY I need to Activate please From PCHPlay&Win for giving me the Opportunity to enter and to win a Life-Changing $10,000,000.00($10 Million) SuperPrize from PCH GVWY. No. 8800 before 12/23/16 (11:59 PM, ET Deadline). —PLUS— PCHSearch&Win Thanks again for your Holliday treat/Search Now For 5X Entries To Win $25,000.00 from PCH GVWY. No. 6085. Plus, Get into Holliday Spirit. Thanks. claiming and submitting final day prize #8922 and 8921, also jj101-CSRE12/16. gwy prize VIP #7233 approved for $10,00.00 cash 5x entries. #6085 for$1,000,000.00 cash, #6900 $10,000.00 a week for life, viP $20,000.00 CASH PRIZE APPROVED. #4900, 8035,8919,8920. I would love get front row and win ..so can make me owner of Gwyno.6900 and make me owner of gwyno 4749.i want also claim $50.000 bonus…please pick me .in side box love win pch. Pch Search & Win $10,000.00 On Line Exclusive Cash Prize No-7679 Plus, $10,000.00 A Week For Life Or $10 Million Up Front Prize No-6900 On December 23rd By 11:59 PM,ET Activate ! Pch Election Day 5x Entries $100,000.00 Prize No-6085 Plus ,$10,000.00 Cash Prize No-6086 Activate ! GWY 4650..20,000.OO INSTANTLY…GWY 4650 40,000…. Pch 5 Entries Win $100,000.00 Cash Prize No-6085 Plus, $10,000.00 Cash Prize No-6086 On October 28th By 11:59 PM,ET Activate ! Win $1,000,000.00 Tax Ree! Please enter me for this Prize from Gwy No. 6900! We like to win it that for sure. I can say she would love it a lot it may even put her on the floor. I think that may be better that flowers. Ha! I CLAIM $1,000,000.00 SUPER PRIZE FROM PCH GWY #8035, & $100,000.00 CASH PRIZE FROM PCH GWY. #6085. i ALSO CLAIM $25,000.00 FOR A HOUSE MAKEOVER FROM PCH GWY. #8184, ALSO CLAIM $15,000.00 FOR LUXURY VACATION FROM PCH GWY. 6086, AND I CLAIM $2,000.00 TOWARDS PAYING ALL MY BILLS FROM PCH GWY. #6087. I HOPE TO WIN IN DECEMBER 23, 2016. Apologies it’s 1,000,000 plus 50,000, Would LOVE to win it as well. I called and a Woman entered my number in for me, if it needs to be entered again PLEASE enter it for me. I WOULD LOVE LOVE LOVE TO win, I usually get on here all during the day but today I had to go to the funeral home,someone VERY Close and Such a Wonderful Ma passed away. Bless him and his Family. I have entered for EVERYTHING so many times, Praying to see the PCH RIG come down my driveway and say that I have won 7,000 for life, 5,000 for life 1,000,000 the Dream home, the truck, the car , 200,000 plus 50,000 and or any of the others I have entered for. PCH $7,000.00 a week for life Sweepstake. activated codes for Patrol for a big check. #2 – I AM ENTERING TO CLAIM PCH NO. 6085, CASH PRIZE. Please activate my entry to win the superprize to be authorized to go for the sum total of cash prizes featured herein: $5,952,OOO.OO. Win A $1 Million Superprize! Please enter my claim to win this PCH Sweepstakes Prize from Gwy No. 8035! I want to claim my last and final step to win pch 1,000 cash prize and I’m claminf my pch gwy no. 6900 forever prize in pch special early look on Oct 21st I’m in it to win it all so I’m claiming ownership of pch winning prize number for the pch 7,000 a week for life and would like my name to be placed on your pch winner selection list thanks god bless. I claim fifth entries to one millions superprize and up $50,000.00 and bonus (4950) and (4952) . I claim entries to win(4900) to pay $7,000.00 a week for life. So many greedy people here. How embarrassing. HI THERE PLS. CLAIM AND ACTIVATE MY ENTRY FOR GWY 500 &GWY 6900 $7k PER WEEK FOR LIFE. I TRULY WANT TO WIN A PRIZE..WEGOT NOTICE TODAY OUR HOSPITAL SOLD (WHERE I HAVE BEEN FOR 10YRS.) 100 EMPLOYEES WILL BE LAID OFF. unfortunately, I will be 1. I do need a miracle.i’m praying every day.. I need a car badly..IT’S ON ITS LAST LEG & the money would sure be a blessing.. I TRULY WANT TO WIN ONE OF THESE PRIZES GWY 4950 & 4902 AND IT WOULD BE A BLESSING FOR GWY 6900..
I’M PRAYING FOR THE BIG DAY WHEN THE PRIZE PATROL WILL ARIVE AT MY DOORSTEP..PLS ENTER AND ACTIVATE MY ENTRIES ABOVE. GOD SPEED,THANK YOU..
Just to win would be Exciting!Especially,since I never been in that position. I am claiming pch Sweepstakes Gwy 6900 for 7 million dollars a week forever and Gwy 6085. 8035. 7233. 4950 4902 6884. I am Darcel Zuller Vip of pch Sweepstakes. I love to win from PCH $1Million SuperPrize and $50,000.00 Bonus with Gwy. No.4950 and No. 4902 . Thank You So Much! God Bless All ! TS . PCH Win $1 Million SuperPrize and up to $50,000.00 Bonus with Giveaways 4950 and 4902.+ $7,000.00 a week for life. PCH.com I, Naomi Desty, ensure my forthcoming Prize Number ‘s place on the PCH Winner Selection List GVWY. No. 6900 to Win. I want to Enter/Activate for Oct 21st, 2016 PCH Gvwy No. 6900/ $7,000 a week for life, and also, P.S….Incredible $10,000.00 GVWY. No. 7678.
i WANT TO WIN AND AM SUBMITTING MY ENTRY FOR THE PCH WIN $1 MILLION SUPER PRIZE OF GIVEAWAYS 4950 nd 4902. THIS PRIZE WOULD BRING WONDERFUL FINANCIAL SECURITY FOR MY HUSBAND AND MYSELF AS WE LIVE OUT OUR LIVES FROM NOW, BEING IN OUR MID 80’S, TO THE INDEFINITE DATE OF OUR LIFE’S END. PCH Win $1 Million SuperPrize and up to $50,000.00 Bonus + $7,000.00 a week for life. I’M PRAYING EVERY DAY FOR THIS MIRACLE TO HAPPEN. I HOPE YOU WILL BE AT MY DOORSTEP AUGUST 31.. THANK YOU, I’VE BEEN A LOYAL PARTICIPANT. 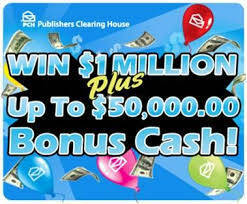 Publisher Clearing House – PCH $10 Million SuperPrize Giveaway No. 6900. No Lump Sum Payout but instead $225,000.00 a year for 29 years and a final payment of $3,475,000.00 in the 30th year. + $7,000.00 a week for life. + $1,000,000.00 Check for cash. Please enter me to Win A $1,000,000.00 Superprize from Gwy No. 8035! I would be grateful to enter to win the $1,000,000.000 Super Prize from PCH Gwy # 8035. OH, PLEASE!!! HELLO PCH TEAM, PLS. CLAIM MY SUPER PRIZE BONUS TODAY FOR $7k per week. I REALLY WANT TO WIN..GOD SPEED..
PCH Win $1 Million SuperPrize and up to $50,000.00 Bonus with Giveaways 4950 and 4902. No purchase necessary. + $7,000.00 a week for life. Please enter me to Win A $5,000.00 Bonus from Gwy No. 6902! PCH $10 Million SuperPrize Giveaway No. 6900. No Lump Sum Payout but instead $225,000.00 a year for 29 years and a final payment of $3,475,000.00 in the 30th year. $10 Million. Golden Ticket PCH Gwy. No. 4900 Your Golden Opportunity to win. + $5,000.00 a week forever. + $100,000.00 a week for a year. + $1,000,000.00 Superprize. HAPPY SUNDAY PCH TEAM.. I’M BACK AGAIN. PLS. CLAIM & ACTIVATE MY SUPERPRIZE BONUS..GWY 6900. I’M TRULY WAITING TO MEET THE PRIZE PATROL TEAM WITH MY BIG CHECK, FLOWERS..IT WOULD BE A BLESSING…I’M PRAYING EVERYDAY FOR THIS MIRACLE. I am claiming pch Sweepstakes Gwy 6900 to win it all plus a brand new Lincoln MKZ gwy 6085. I am claiming Gwys 6884, 665O, 4749 7029. 7233 7232 3080. 8035. I am looking forward to seeing you here in Akron Ohio. PCH Win $1 Million SuperPrize and up to $50,000.00 Bonus with Giveaways 4950 and 4902. No purchase necessary. $1 Million. + $5,000.00 a week forever. LOOKING TO ENTER IN PCH GWY NO.8039, $1,000,000.00 SUPER PRIZE. GOING FOR THE SUPER PRIZE PCH GWY NO 6900, $4,600,000 IN A LUMP SUMP PRIZE. PLEASE LOOK CLOSE AT MY NUMBERS TO SEE IF I AM A WINNER, THIS WOULD MEAN A LOT TO OUR FAMILY TO WIN TO CASH PRIZE WORTH $6,6500,000.00. Pch Win 1 Of 6 Prizes Win $50,000.00 Cash Prize No-6085 And $1Million Prize No-8035 Plus $25,000.00 Cash For A Golden Ticket Prize No-4749 Plus, $5,000.00 A Week “Forever” And $5,000.00 A Week For Life There After For A Beneficiary Of My Choosing Prize No-6900 On August 31st Activate ! I want to claim ownership of prize numbers and audit report for gwy 6900.8035.6085,6902,4950,4902 I want to win win win!! GOOD DAY TO THE PCH TEAM..
PLS. CLAIM AND ACIVATE MY SUPERPRIZE BONUS GWY 6900. I’M PRAYING FOR THE MIRACLE TO HAPPEN SOON..
MY INITIALS ARE CG CULLY GREGORY WIN! I TRULY AM PRAYING FOR A MIRACLE. I WANT TO WIN $1M SUPERPRIZE, PLUS $50k BONUS. GWY 4950 & GWY 4902. I’M WAITING FOR THE PRIZE PATROL VAN TO BE AT MY DOOR STEP ON AUGUST 31ST..I’M A LOYAL PARTICIPANT, AND HOPE THIS DREAM COMES TRUE. GOD BLESS ALL OF YOU. LOOK FORWARD TO THE BIG SURPRISE..GOD SPEED.. Please enter me to Win $1,000,000.00 Superprize on August 31st! Win $1 Million SuperPrize and up to $50,000.00 Bonus + $5,000.00 a week forever. Good morning I am claiming search and win $1,000,000.00 plus $50,000.00 prize entry #4950 #4902. #4560 $75,000.00 cash off the hook. $100,000.00 cash to the rescue. $500,000.00 toward a dream house.and search and win $7,000.00 a week for life. $5,000.00 a week forever.2016 2017 drawings. Please enter claim to Win $1 Million Superprizefrom from Giveaway No. 4950! Win $1 Million SuperPrize and up to $50,000.00 Bonus with Giveaways 4950 and 4902. No purchase necessary. $1 Million winning opportunities on pch.com. $10,000,000.00 and $1,000,000.00 with bonus $50,000.00 activate code by phone for entries. Gwys #6900 #4950 #4902. VIP diamond status, superfan. I am entered into all prizes and contests just about daily. Yes, pch is the best. I’m gleaming 6900 for 5,000.00 a week for life, Lincoln MKZ, Also 4950 worth 1,000,000.00 3 entries, 4902 50,000.00. And 6650 for the initial SJ. Amen to my numbers. hello team..please claim my vip loyalty rewards entry. I am unable to claim it on the pch blog. thank you..it would be a miracle. thank you.. Enter me for 1 million plus 50,000 bonus cash gwy.no 4950 and 4902. Gwy #4950 #4902$1,000,000.00 plus $50,000.00 superprize. Make sure I am on the winners selection list. Enter me for 1million plus 50000 bonus cash. would be grateful to win anything !! I’m ready To WIN ! !and Become PCH Giveaway ,6900 and Become the Next MILLIONAIRE please Activate Secure all my. Eligibility to become A NEW. Mrs Virginia ,Thompson A NEW. Me!Please Bring me The Big Check. $1,000,000.00 plus $50,000.00 gwy #4950 and #4903 search and win, today. To win $50,000 will change my life. So please believe that to win will definitely make a wonderful change for me and my family. I’ve received an email today regarding search and win $50,000.00 cash, kindly give me a change to be the winner. Win $1,000,000.00 Superprize from Giveaway # 4950!please enter claim for this prize! Hi PCH, I want to registered, claimed and activated this numbers PCH GWY # 6900 $2,000,000.00 plus more and $ 50,000.00 bonus prize and $10,00 a month for life,new car on June 30th Thank you PCH. Please enter me for 1million plus up to 50,000 cash Bonus get no 4950 and gwy. No. 4902. Please enter my claim to Win $1,000,000.00 Superprize & Up To $50,000.00 Bonus from Gwy #s 4950 and 4902! Pease enter me for 1million plus 50,000 cash bonus gwy no.6900. PCH Yes I would like to be able to win $1,000.000.00 Super prize! Giveaway #4950 Thank You!! I’d like to claim entry to Win $1 Million Superprize! $1,000,000.00 Super prize and Bonus $50,000.00 Please enter me in All……. PLS.ENTER & ACTIVATE MY ENTRIES FOR GWY. 6900 ‘WIN IT ALL’ AND, GWY 4950, GWY 4902..
PLS.. SEND THE PRIZE CONTROL VAN TO MY HOME..ANY PRIZE WOULD BE A MIRACLE..I’M PRAYING FOR ‘GOOD LUCK’. Please enter my claim to Win $1 Million Superprize! Please enter claim to Win $1,000,000.00 Superprize and Up To $50,000.00 Bonus! Hello i Joseph if it is in God will I will be happy if I win it will help pay off my credit,and let government take taxes out,and give Jesus to help a Church,my Mother,help my family,and St.Jude.Thank You God Bless. HI THERE AGAIN…I WANT TO WIN..PLS. CLAIM ENTRY AND ACTIVATE FOR GWY 4749 FOR $25k. ALSO PLS CLAIM MY 10X ENTRIES FOR GWY 6900. ANY MIRACLE WILL BE A BLESSING…GOD SPEED. THANK YOU,PLS. MAKE IT HAPPEND.. HAPPY MEMORIAL DAY PCH TEAM..I’M BACK AGAIN..
PLS. CLAIM MY ENTRY FOR GWY 6900.’WIN IT ALL’AND ACTIVATE..I KNOW IT WOULD BE A MIRACLE TO WIN…BUT MIRCLES DO HAPPEN…I’M PRAYING THE PRIZE PATROL VAN WILL BE AT MY DOORSTEP SOON..GOD BLESS.. Enter me to Win $1,000,000.00 + $50,000.00 Bonus! Win $1 Million from Gwy No. 4950! Please enter my claim for this prize! Enter claim to Win$1,000,000.00 from Giveaway No. 4950! Pch Search 6 Prize Pass Card Win $1,000,000.00 Superprize No-4950 On June 30th Activate ! WIN $1,000,000.00 PLUS $50,000.00 PLUS mor! Win $1,000,000.00 Superprize from Gwy No. 4950! Please enter my claim for this prize! I want to win ALL? Please enter claim to Win $1,000,000.00 from Gwy No. 4950!